our products mainly exported to europe, america, australia, etc with excellent design capability, offer new designs every week . Providing free sample of glass sew on rhinestones and other rhinestones item. The production schedule is carefully monitored section by section. We can delivery the products on time and with reasonable cost. main product rhinestones cup chain special stone mesh eco-friendly series product name sew on rhinestone stones for clothes decoration item no. typically, crystal rhinestones have been used on costumes, apparel,shoes and jewelry. Specifications 1. Crystal Material 2. OEM and small order are welcome 3. 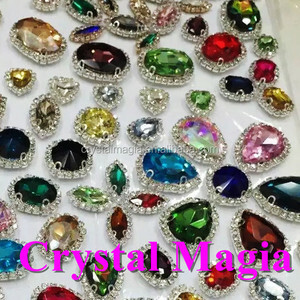 Competitive price with good quality Wholesale sew on crystal stones, sew on glass stones, sew on glass b sew beads, sew on rhinestone for clothing Product Type: Rhinestones Color: Many color Style: Glass beads Material: Glass Size: many size Technics: sew on Shape: Many shape Brand Name: Crystal Ace Rhinestones Type: Loose Rhinestones Place of Origin: Guang dong, China (Mainland) Use: Bags, Garment, Nail Art, Shoes Payment terms T/T ,Paypal,Western Uion Product Display Color and Shape Packing Detail Czech, ZF DF &DMC rhinestones packing: size gross pcs ss4 10 1440 ss6 10 1440 ss8 10 1440 ss10 10 1440 ss16 10 1440 ss20 10 1440 ss30 2 288 ss40 1 144 Aplication Other products Click here to know more Hot sale product Hot fix rhinestone rhinestone brooch Fancy rhinestone rhinestone mesh Sew on rhinestone Trimming rhinestone cup chain rhinestone Non hot fix rhinestone Rhinestone rivet Hot fix pearl Epoxy(resin) rhinestone Chaton(point back rhinestone) Hot fix rhinestud Rhinestone transfer motif Crystal sticker Contact us Any more detailed information please contact with me freely and we will do all our best effort to meet your requirements! 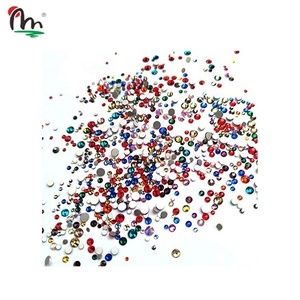 Iron on strass,heat transfer strass,lead free strass,nickel free strass,environmental strass, hot fix rhinestud, hot fix octagon,iron on rhinestud,hot fix octagon rhinestud, hot-fix rhinestud . application bags/t shirt /evening dress/garment/glove/sock/scarf/hat/cushion/shoes/door/case/furniture/lamp/gift/wedding decoration/hair ornament/mobile,etc. 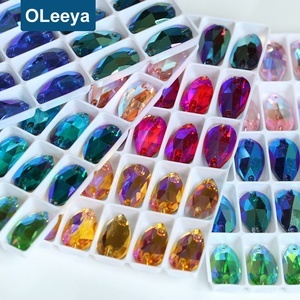 colors crystal ab, siam ab ,topaz ab,sapphire ab,blue zircon ab, emerald ab ,light peach ab , aquamarine ab , dk amethyet ab , tanzanite ab ,light pink ab ,etc clear,rose,lt. packing safe packing envelope+paper box+carton shipment fedex ups dhl ems . foiling silver foiling payment t/t western union moneygram escrow. Please tell us which shapes, colors and size you need, and your quantity, the competitive quotations will sent to you as soon as possible. Color chart: Size & shape chart: Click here for more information !!! 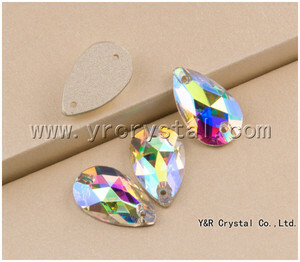 About us sew on glass crystal rhinestones Our Factory Click here for more information !!! 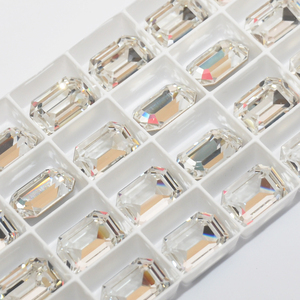 4 ) Over 15 years'Experience on crystal ornaments Manufacture 5 )Machine cut technics. High index of light refraction 6 ) Choose our factory, you will be the winner of your market! Packing 1) Inner packing: plastic blister + small white box +long white case 2) Outer packing: carton Any other question,pls feel free to contact me. 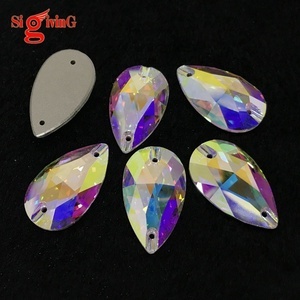 wholesale teardrop crystal sew on rhinestone item crystal sew on stones shape round,square,rectangle,triangle,drop,boat,heart,alien,s shape, rivoli, diamond flower,axe,. We are integrating domestic and foreign famous crystal brands serving factories and wholesaler in all industries at home and abroad. Original China Crystal Unite rhinestones have high quanlity and good competitive price performance at home and abroad market. 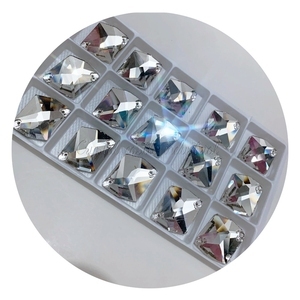 2) We keep on selecting the famous international crystal brand to enrich our products and strengthen our business, so that custo mers have more choices for the products. 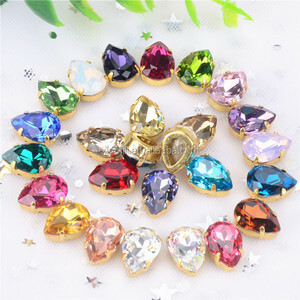 Alibaba.com offers 37,868 sew on rhinestones products. About 74% of these are rhinestones, 1% are garment beads, and 1% are decorative flowers & wreaths. A wide variety of sew on rhinestones options are available to you, such as bags, nail art, and garment. You can also choose from sew-on, hot-fix, and polished. As well as from rhinestones, beads. And whether sew on rhinestones is glass, acryl, or resin. There are 37,824 sew on rhinestones suppliers, mainly located in Asia. The top supplying countries are China (Mainland), Taiwan, and Hong Kong, which supply 96%, 1%, and 1% of sew on rhinestones respectively. 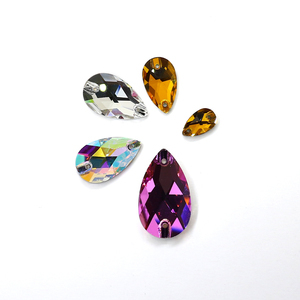 Sew on rhinestones products are most popular in North America, Western Europe, and South America. You can ensure product safety by selecting from certified suppliers, including 4,726 with Other, 972 with ISO9001, and 161 with BSCI certification.